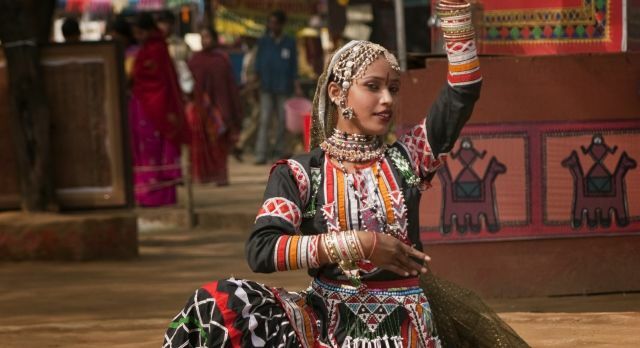 Indian Arts & Culture: A Tour De Force! For those looking for a sample of village life and Indian arts and culture and heading to India this February, plan to visit the annual Surajkund Crafts Mela. It’s a village in a city: a rustic feel of the village fair recreated in the midst of a bustling urban center: New Delhi! Visitors to India are often struck by the massive infrastructure projects in our cities and the extent of urbanization. Large cities are constantly under construction: roads are being built, metro rail lines extended, and massive gated communities spring up on the outskirts. 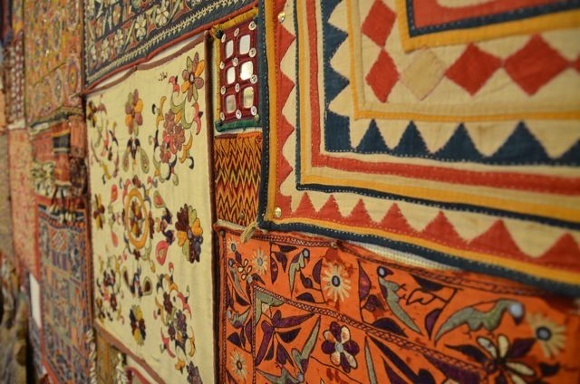 If you’re looking for the feel of a traditional Indian village within an urban center, try the Surajkund Crafts Mela. Each year, the state of Haryana organizes a two-week festival to showcase arts and crafts from around the country. They highlight a new state every year and offer a wide variety of the food and craft from there. One of the intentions is to present ‘village life’ to guests visiting India. Recreating a rural ambience, the Surajkund festival allows guests to learn about the craftsmanship behind indigenous handloom and textile traditions. It’s one of India’s largest craft exhibitions, held every February just as the winter chill starts to dissipate. Located in Surajkund, part of the National Capital Region (NCR) of Delhi and its surroundings, this crafts mela will not only comprise different stalls from states around India, there will also be events and performances on each day. In past years, states such as Karnataka, Andhra Pradesh, Rajasthan, Madhya Pradesh and Gujarat have been highlighted. There are folk dances, a magic show, a small amusement park to keep children entertained, food courts and buyers meets for businesspeople dealing in arts and crafts. The sheer breadth of the events and stalls recreates a village fair with its thronging crowds, general mayhem and color and sound. Not only do the best Indian craftsmen get invited to the Surajkund Mela: you can also expect visiting craftspeople from nearby countries with strong craft traditions such as Tajikistan, Uzbekistan and Kyrgystan which are fellow SAARC countries. This mela (fair) is likely to expand your understanding of ‘crafts’: expect a lot more than beautiful bedspreads and textiles. There will be bronze sculptors, wood carvers, lace makers, carpet weavers and jewelers, in addition. Folk theater is another draw: from folk musicians, and ballad singers, to percussionists and folk dancers. With a range of local musical and dance traditions, the mela ground comes alive in a series of events across the days of the fair. Visitors to India will appreciate the fine silks and textiles gathered from around the country and presented according to the state of origin. The regional focus is most apparent in the food selections, as south Indian snacks and delicacies will be found in abundance. The organizers plan on popular Indian food, not only ‘authentic’ delicacies. You’ll get to sample that unique concoction known as ‘Indian Chinese’ food, for example. This is a huge favorite of the Indian palate and proudly “made in India”! If you’re interested in visiting the fair, start out with a stop in New Delhi. 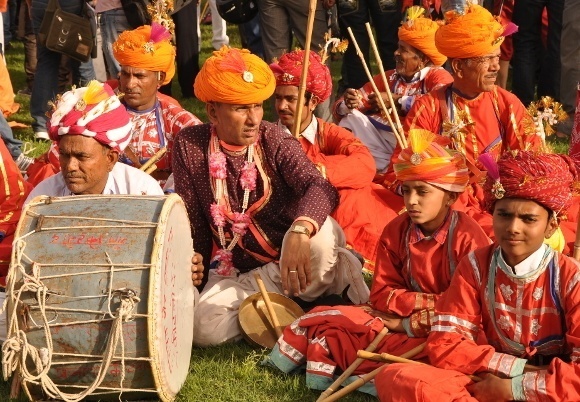 The Surajkund Arts and Crafts Mela (fair) is held every year between the 1-15 February. Of course, Enchanting Travels is happy to help you plan unique Indian art and culture tours at any time of year.